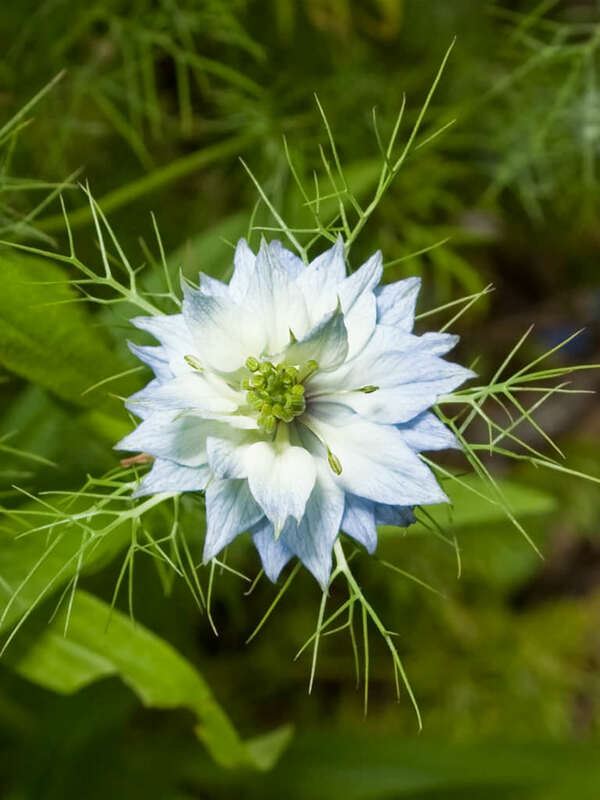 Nigella damascena is an annual, garden flowering plant up to 20 inches (50 cm) tall, with pinnately divided, thread-like, alternate leaves. 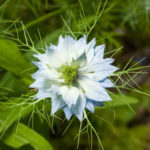 The flowers, blooming in early summer, are most commonly different shades of blue, but can be white, pink, or pale purple, with 5 to 25 sepals. The actual petals are located at the base of the stamens and are minute and clawed. The sepals are the only colored part of the perianth. 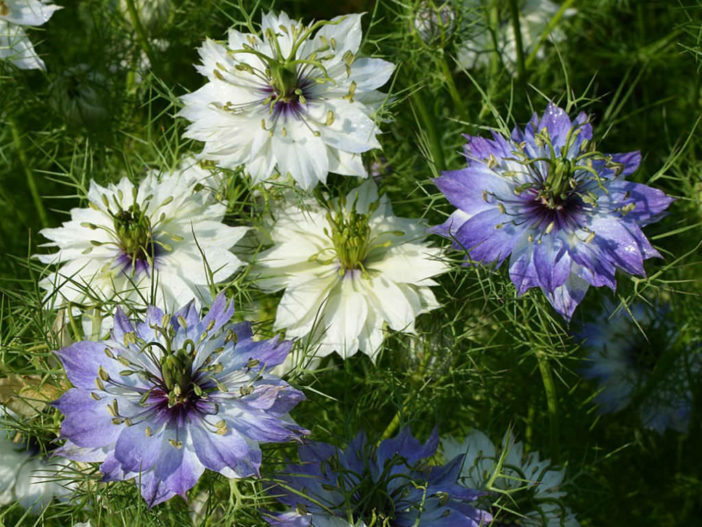 The 4 to 5 carpels of the compound pistil have each an erect style. 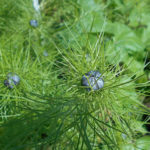 The fruit is a large and inflated capsule, growing from a compound ovary, and is composed of several united follicles, each containing numerous seeds. The capsule becomes brown in late summer. 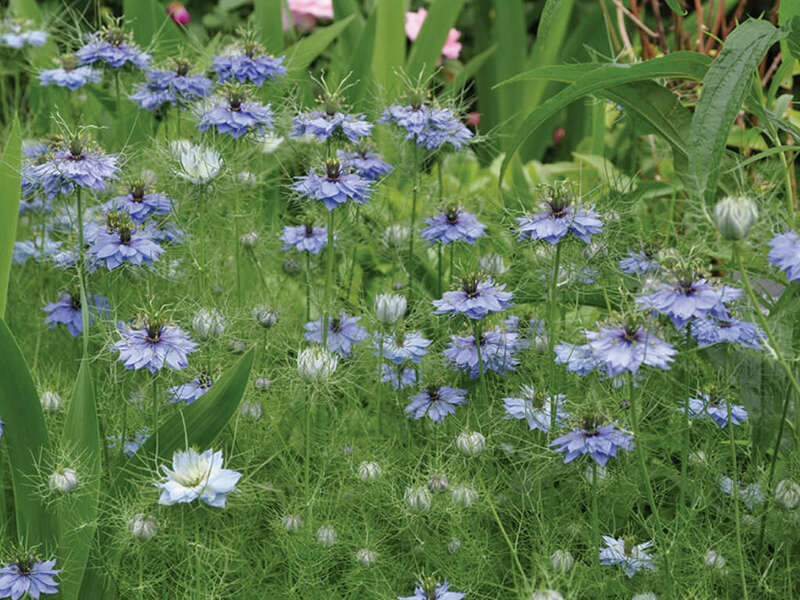 Plant Nigella sativa seeds when no risk of frost exists. Sprouts appear in one to two weeks and flowers in about two to three months later. Test the soil pH with a home kit two to three months before the desired planting date to verify the pH is slightly acidic with a value of 6.0 to 7.0. Work ground rock sulfur into the soil to lower the pH if needed. Follow the package application rate based on the current pH. Let the soil rest for two to three months to give the amendment time to change the pH. 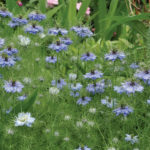 Work 2 to 3 inches (5 to 7.5 cm) of organic compost into the planting area to a depth of 8 to 10 inches (20 to 25 cm). Compost increases the nutrient value of the soil and is a natural fertilizer. 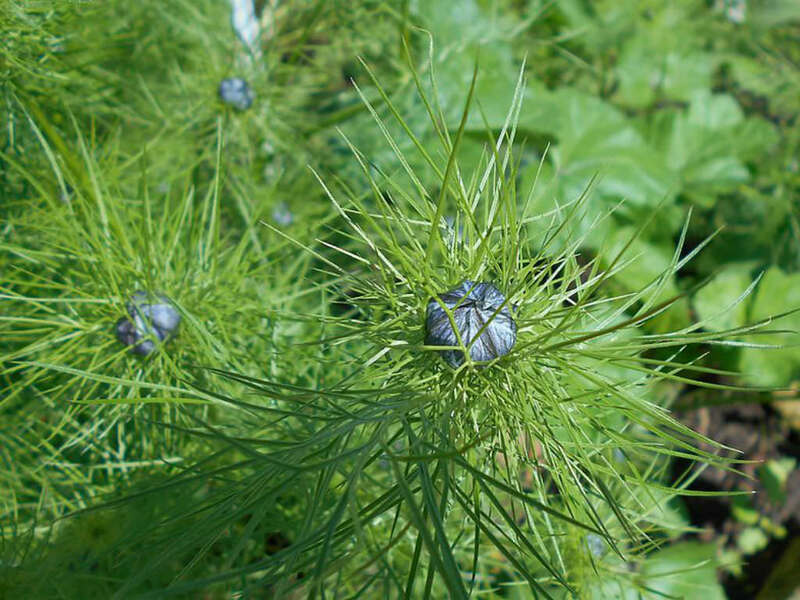 Nigella damascena is native to southern Europe (but adventive in more northern countries of Europe), north Africa and southwest Asia, where it is found on neglected, damp patches of land.